About the Author | Comments? Browse the Corcordances of the Official Records of Peninsula Campaign (1862) and Atlanta Campaign (1864). These concordances isolate the word "railroad" throughout these volumes and allow you to compare the the way the railroad appeared in the 1862 and 1864 campaigns at every level of command. Dynamic Map and Timeline of African American Work on the Union Railroads, from the Official Records of the War of the Rebellion. 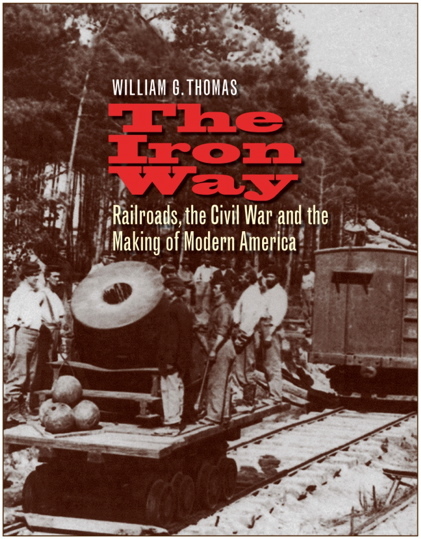 These models trace guerrilla incidents and African American movements and events on the railroads during the Civil War that were recorded in the The War of the Rebellion: A Compilation of the Official Records of the Union and Confederate Armies, the U.S. War Department's 128-volume series of Union and Confederate reports and correspondence. This spatio-temporal index, although limited to military bureaucratic texts, opens up the experience of African American labor and emancipation to further inquiry. Explore the Expansion of Slavery and Railroads in the 1850s. This demonstration is a new updated release in beta development based on a work underway through an NEH Digging into Data grant. This demo includes some data that need to be corrected. The 1850 data are based on published atlases and include completed lines that were not yet fully completed. See the Railroads project "Map Inaccuracies" Case Study for further information on this issue. © 2006–2011 All Rights Reserved. William G. Thomas | Comments?